Theatre is considered a collaborative form of fine art that uses live performers to present the experience of a real or imagined event before an audience in a specific place, often a stage. The performers may communicate this experience to the audience through combinations of gesture, speech, song, music, and dance. In a project where collaboration is the name of the game, each and every detail, no matter how large or small, makes all the difference in the final presentation – or the final act. 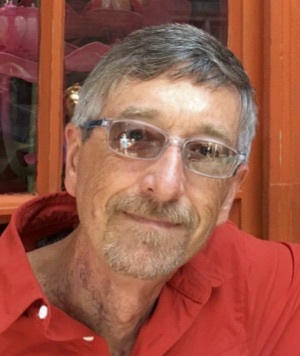 The Engelstad Shakespeare Theatre in Cedar City, Utah, celebrated its opening night on July 7, 2016 and the collaborative efforts of all involved shaped the debut into a resounding success. An open-air space, The Engelstad Shakespeare Theatre is reminiscent of Elizabethan theaters but with modern amenities and technology. 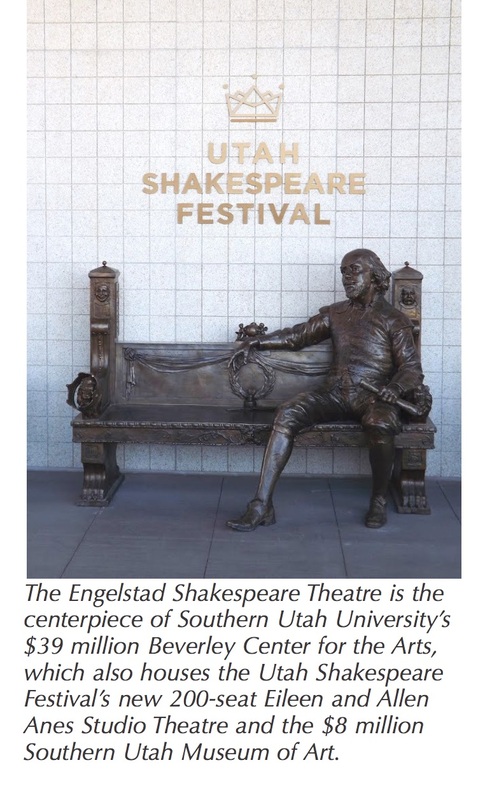 As the symbolic home of the Utah Shakespeare Festival (USF), it features plays by Shakespeare and other playwrights whose works are appropriate for its outdoor Elizabethan-inspired architecture. It is also used for educational programming for Southern Utah University. The new outdoor Engelstad Shakespeare Theatre is the centerpiece of Southern Utah University’s $39 million Beverley Center for the Arts (named for the late philanthropist Beverley Taylor Sorenson), which also houses USF’s new 200-seat Eileen and Allen Anes Studio Theatre and the $8 million Southern Utah Museum of Art. The arts complex, built around the existing Randall L. Jones Theatre, spreads across two city blocks. Theater company facilities include a new ticket office, administrators’ offices, costume and scenic shops and rehearsal halls, as well as company dressing rooms and a multiplicity of patron restrooms. 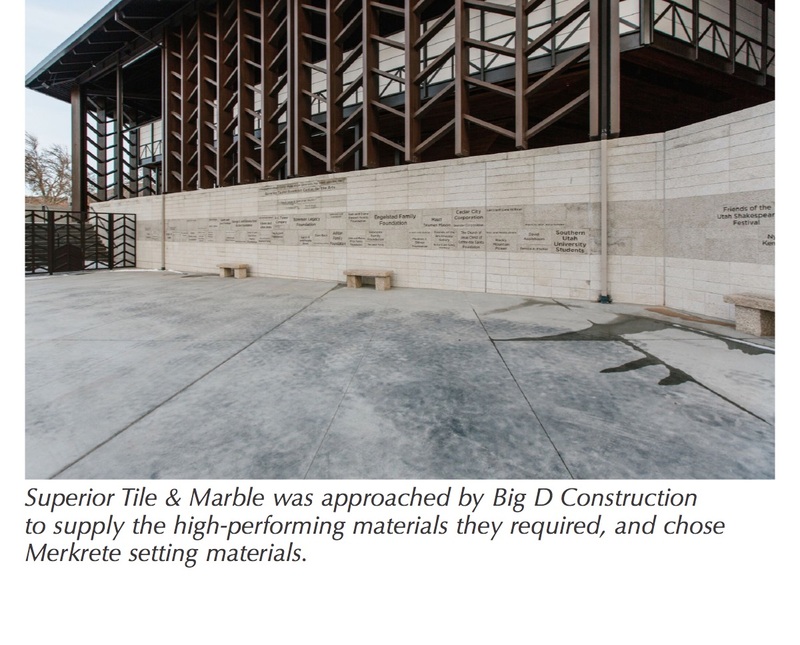 Developed in collaboration between Big D Construction, NTCA Five Star Contractor Superior Tile & Marble, and Blalock & Partners, the theater seats approximately 921 and is named for the Ralph J. and Betty Engelstad family, which was a major donor toward the building. 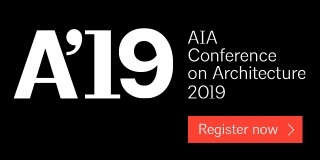 Blalock and Partners teamed with Brooks + Scarpa, and Coen + Partners to create the new arts campus, which includes the new USF facility, the new Southern Utah Museum of Art (SUMA), and the existing Randall Jones Theater. The three buildings are connected by an intricate landscape design inspired by medieval gardens of England and France. The new Engelstad theater pays respect to the old Adams Theatre in its overall configuration, yet adds a touch of refinement and modernism in its execution. 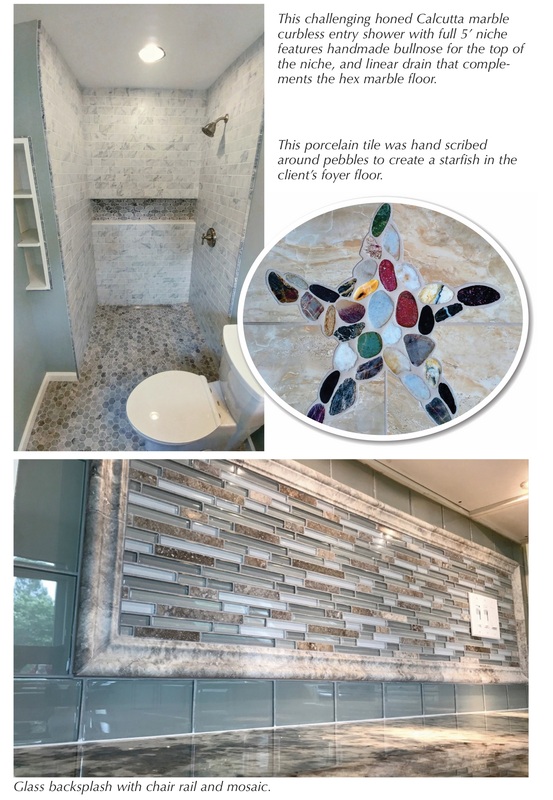 The exterior tile and stone installations throughout the building perfectly match this high-class, theatrical aesthetic, as each piece was masterfully chosen and strategically placed for an extra touch of glamour and ensured functionality. 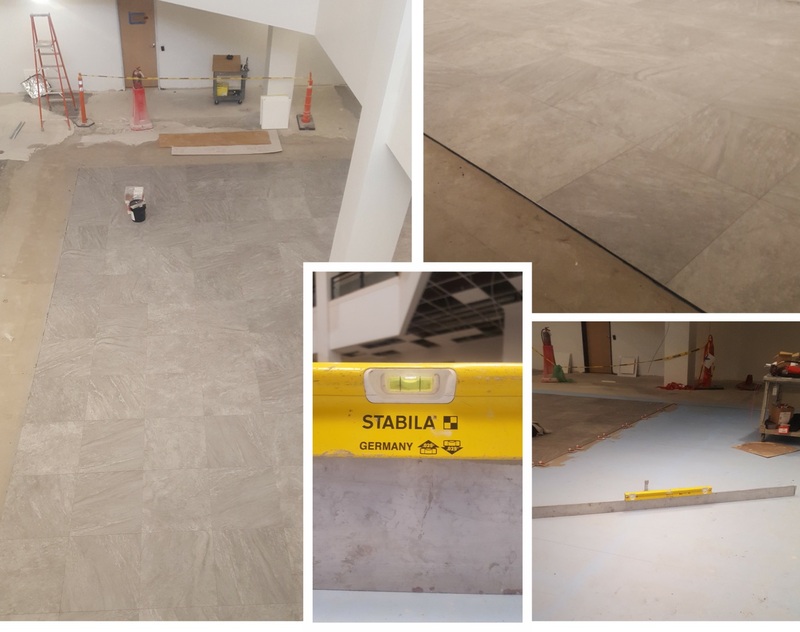 When Superior Tile & Marble was approached by Big D Construction to supply the high-performing materials they required, Superior knew they’d need a trusted and top-quality installation system to ensure a job well done. 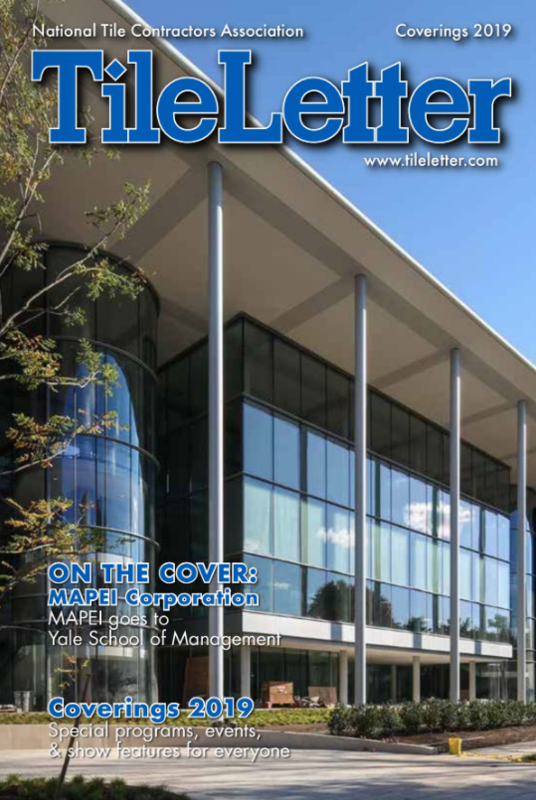 Upon reviewing the scope of the project, all answers pointed definitively to Merkrete, a leader in waterproofing, crack-isolation and setting-materials technology. Superior’s work on the exterior of SUU’s Shakespeare Theatre consisted of over 15,000 sq.ft. of bush-hammered granite, 2,000 sq. ft. of 6” thick cubic granite, and almost 1,800 sq.ft. of mechanically anchored granite. Due to the exceptionally harsh weather, Superior partnered with Merkrete for versatile and high-performing installation products they can trust. 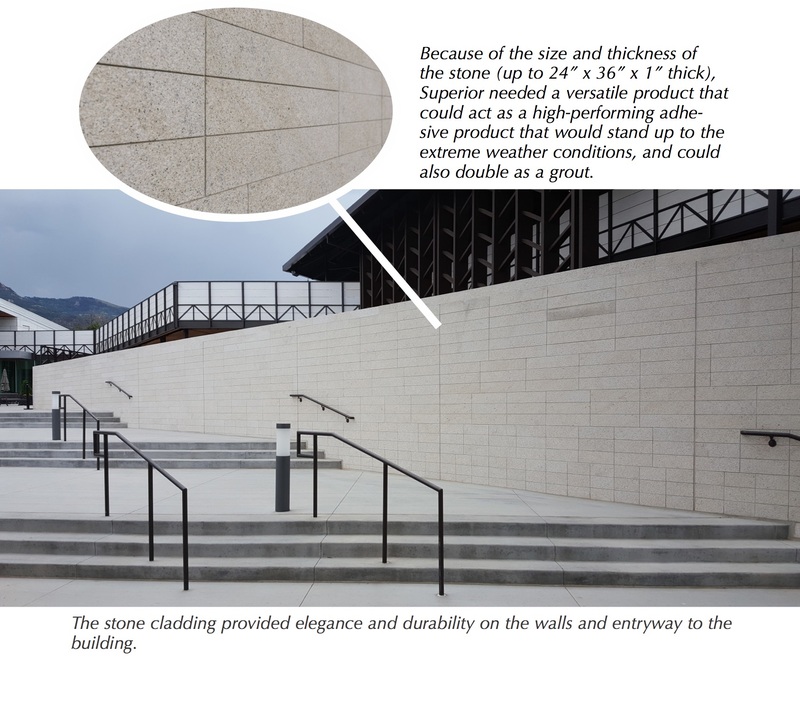 Because of the size and thickness of the stone (up to 24” x 36” x 1” thick), Superior needed a versatile product that could address several specific needs at the same time: a high-performing adhesive product that will stand up to the extreme weather conditions and also double as a grout. 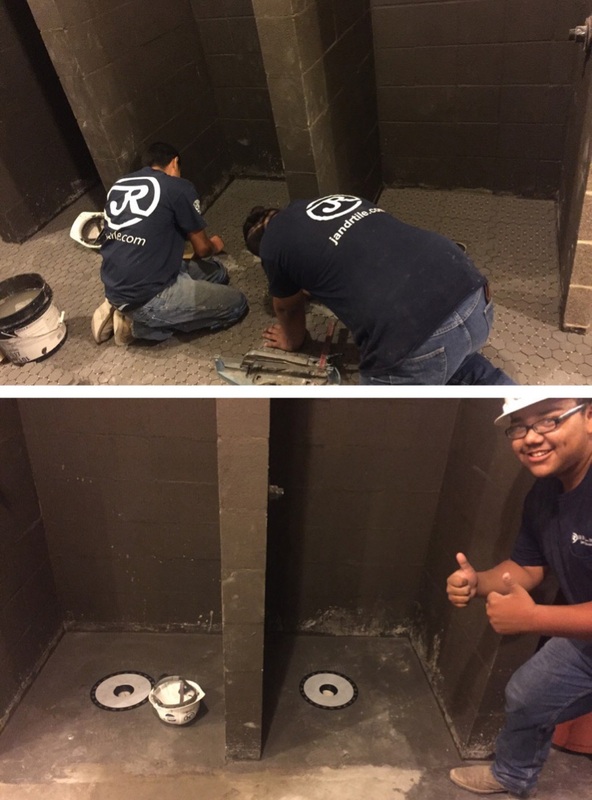 Since both Robinson and Stewart have experience with Merkrete’s Integra, an all-in-one thinset and grout product, he knew Merkrete could assist with a solution. 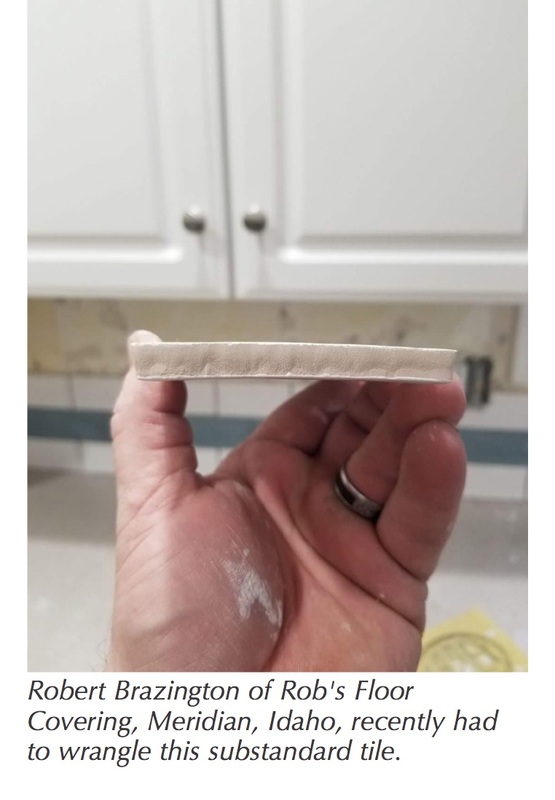 This solution was tested and perfected prior in another Superior Tile & Marble installation when the term, “The Lombard Method” was coined because the walls were spread with the adhesive, then mortar was placed on two sides of each tile and set, similar to the methods of striking brick. Part of the challenge in this project involved extreme weather. It was critical that Superior chose a company who would be able to get the products delivered when required and the job completed on time. 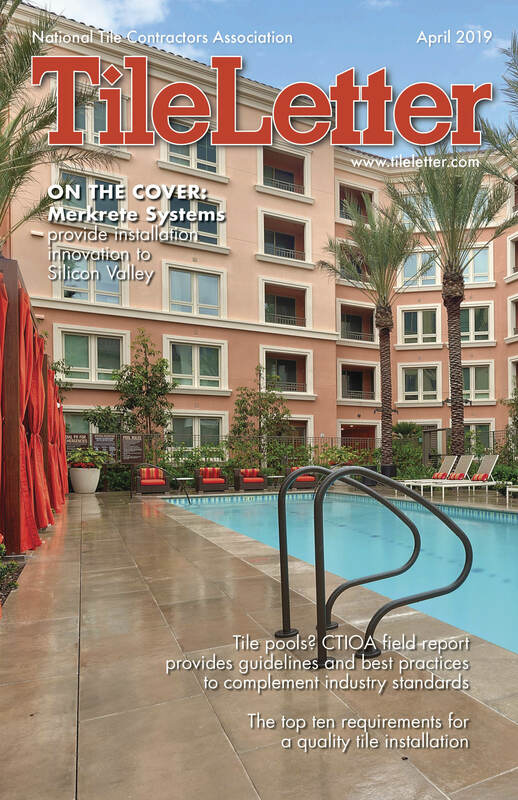 Merkrete is a member of ParexGroup, one of the largest companies and a worldwide leader in tile setting materials, façade finishes and technical mortars, established in 22 countries with 68 manufacturing plants and over 4,100 employees. 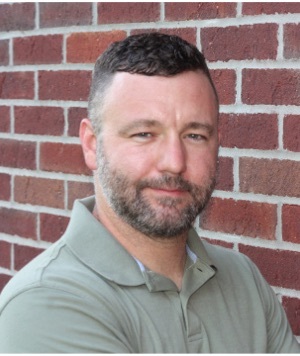 “Merkrete was perfect for this project’s requirements, because we have plants and distribution centers all over the country, so our turnaround time and ability to get customized products there quickly were no problem,” said Hunt. The Festival now plays to over 110,000 patrons who view nearly 300 plays each year in three theaters over a 16-week season. Each year the Festival produces eight or nine professional plays. In keeping with its mission to entertain, enrich, and educate its audiences, the Festival also offers a variety of activities such as orientations, literary and production seminars, classes, workshops, and backstage tours – making it a true destination theater, and one of Utah’s cultural treasures. Last month we talked about best practices for estimating. This month, let’s look at procedures that can help us reduce estimating costs, making us more focused and profitable. As we all know, our trade is often price-driven when that’s all the homeowner or a general contractor wants to consider. Rather than joining the rush to the bottom by competing on price alone, look at your company and evaluate its strengths in your marketplace. Keep in mind the 80/20 rule: most of your profit is probably coming from a smaller segment of all your projects. Begin looking at projects and evaluating their compatibility with your strengths. Let’s face it, some types of projects are a breeze and some are a struggle from day one. All that’s needed is to begin to move away from those that seem to always be a challenge. The three largest components of this filtering process are easy to follow. Determine what market segments hit your sweet spot. Is it new residential or remodel? Is it custom homes or tract homes? If you’re in the commercial area, is retail up-fit and restaurant your best fit or office and institutional? Determine your best customers. Simply identify which customers you almost always make profit working with and which ones you frequently lose money working for. This is simple and easy to figure out, and you can probably name the good customers off the top of your head. All you need to do now is stop working for those that cost you money on every job. Analyze your approach to business and see if you are scattering your resources or homing in with laser-like focus. If you scatter your resources aiming at everything that moves, you will sell less and efficiency in your organization will only be a dream. The more focused you can be in directing your job procurement efforts, the more efficient and effective the results, with a higher return on investment. The goal is to know your strengths as much as possible and put yourself in position to capitalize on them more frequently. This requires some analysis and study of where you have been in the last year or two so that you can chart a course toward higher profitability, team morale and success. This is a trait of “Best in Class” contractors. My goal is to help every NTCA member raise the bar in professionalism, craftsmanship and integrity to become more successful. 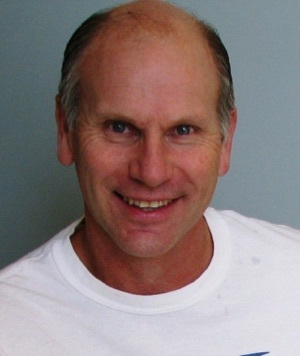 I am always asked how people are using the online NTCA University courses, how they like the courses, what type of feedback I am hearing, etc. So this month I reached out to 10 companies for feedback. With everyone’s busy schedules, I didn’t hear back from everyone but here is the feedback that I did receive. 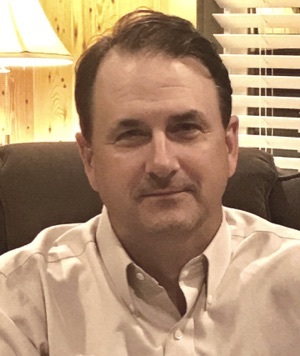 “I subscribe to NTCA University because we started this business just over a year ago and, well, – let’s face it – we had A LOT to learn. We joined the NTCA, as I am a big believer in following procedures and standards and want to leave my customers with the peace of my mind that I do indeed know what I’m doing and deserve to get the prices I quote. Since Flawless Floorz is new to NTCA, I reached out further to ask what types of courses she may need. And Tracey’s response was, “I have not looked through the course list in detail but one of the biggest problems I have is estimating, so I’d like a guideline to follow from measurement to preparing the estimate. Also, how to deal with all the online ‘find a (fill in the blank)’ services they have everywhere.” This is the type of feedback that I need from all members. In fact, the Training and Education Committee is working on courses for estimating that will be published soon. 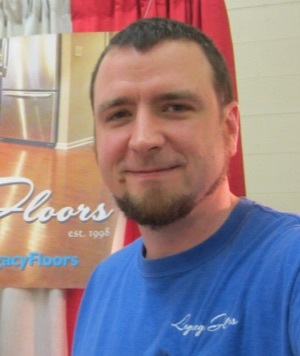 Jon Vanarthos started Gemini Home Remodeling three years ago with one additional employee, specializing in mostly residential remodels. Building from the ground up, today, the company has more manpower to provide the highest possible quality while meeting industry standards. 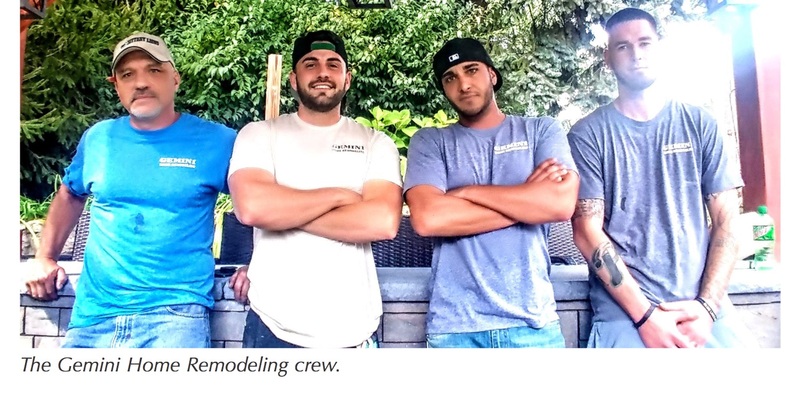 “As the owner and CEO, I try to incorporate something different from ‘the run of the mill contractors’,” Vanarthos said. That ranges from crafting his own bullnose for jobs, mitering edges, or hand scribing in designs. 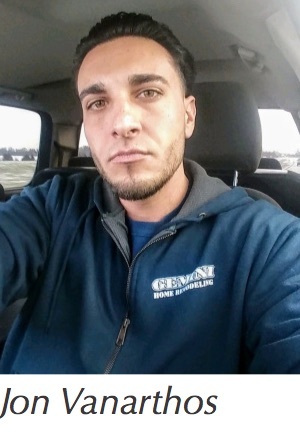 Gemini Home Remodeling is doing something right, with all its work coming from word of mouth without any type of advertisement. 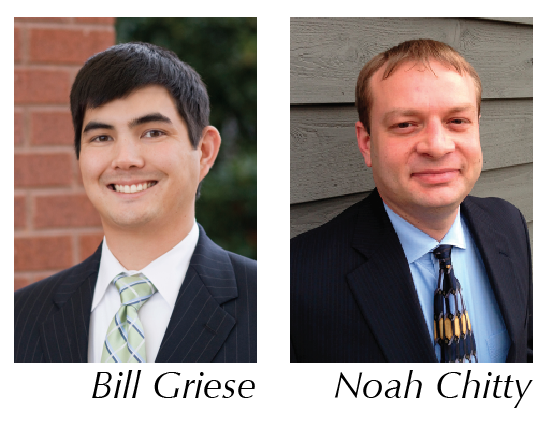 By Bill Griese, Director of Standards Development, Tile Council of North America and Noah Chitty, Director of Technical Services, Crossville Inc. In February, TCNA’s Bill Griese and Crossville’s Noah Chitty traveled to Castellón, Spain, to lecture to the Congress of Qualicer 2018 on research and standardization of thin gauged porcelain tiles and tile panels (GPTP) in North America. Following are highlights of their white paper on this subject, which was presented at Qualicer 2018. The paper, in its entirety with works cited, is available online at tileletter.com. 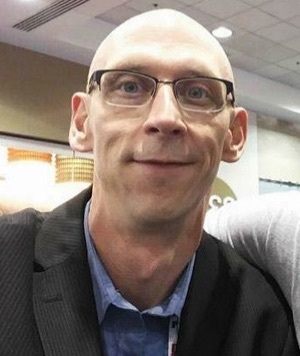 In 2017, the North American tile industry released two new standards: ANSI A137.3, American National Standard Specifications for Gauged Porcelain Tiles and Gauged Porcelain Tile Panels/Slabs, and its companion, ANSI A108.19, Interior Installation of Gauged Porcelain Tiles and Gauged Porcelain Tile Panels/Slabs by the Thin-Bed Method bonded with Modified Dry-Set Cement Mortar or Improved Modified Dry-Set Cement Mortar. 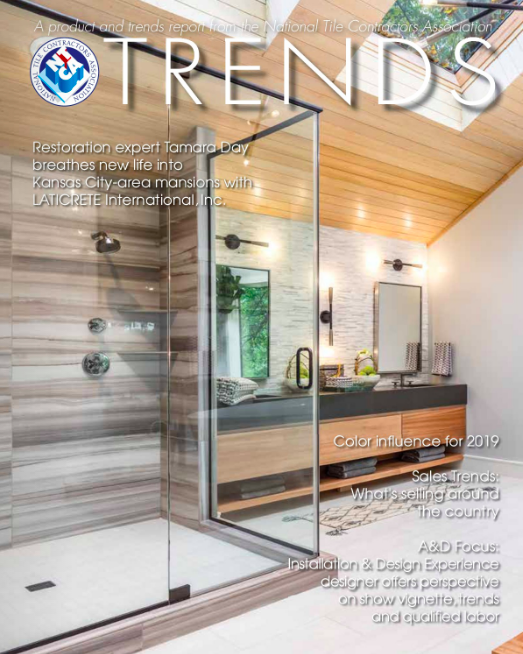 These standards, developed for the benefit of all tile consumers, are the result of a multi-year research and consensus process of the ANSI Accredited A108 Standards Committee, which includes participants from all industry sectors. Those for floor and wall applications, from 5.0mm to 6.5mm. 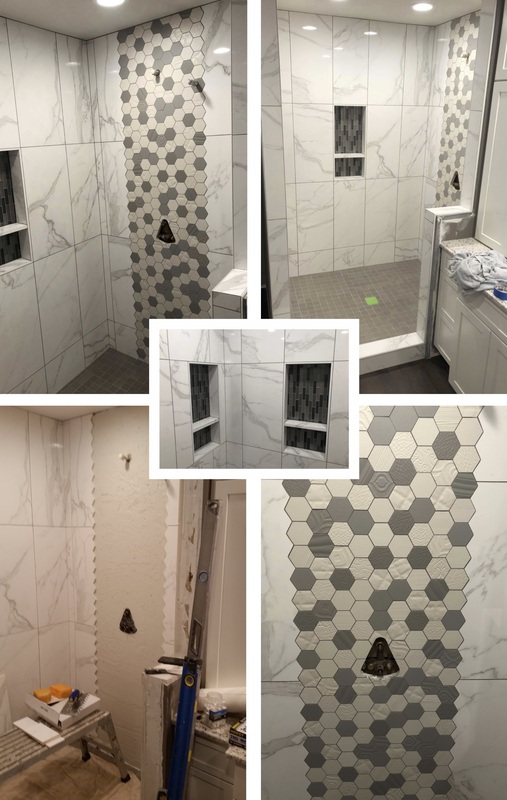 Other products, which either fall outside of these ranges or for which the manufacturer has not specifically provided a gauged-thickness designation, continue to be standardized under traditional tile specifications. One of the earliest topics on which the North American industry debated was terminology. 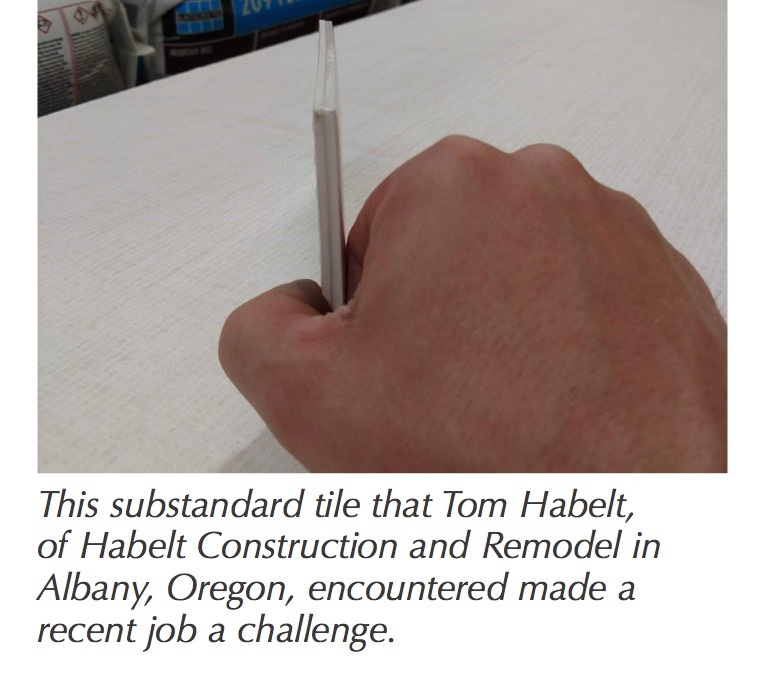 These products were called “thin” tile, but since the same technologies are also used to create thick tiles – and end-users had increasingly prioritized tile thickness as a key characteristic – a new moniker was needed. Hence, the term “gauged” was born, basing the term on one used for other construction products – such as electrical wire and sheet metal – which carry different load capabilities and usage parameters across a variety of gauges. The group agreed to further differentiate gauged products based on their size, with gauged tiles being less than a square meter and gauged tile panels/slabs being greater than or equal to one square meter. In developing product performance criteria, the first key concern was breaking strength, as the North American requirement for traditional tiles was 250 lbf. Initially, very few – if any – thin gauged products met the requirement. 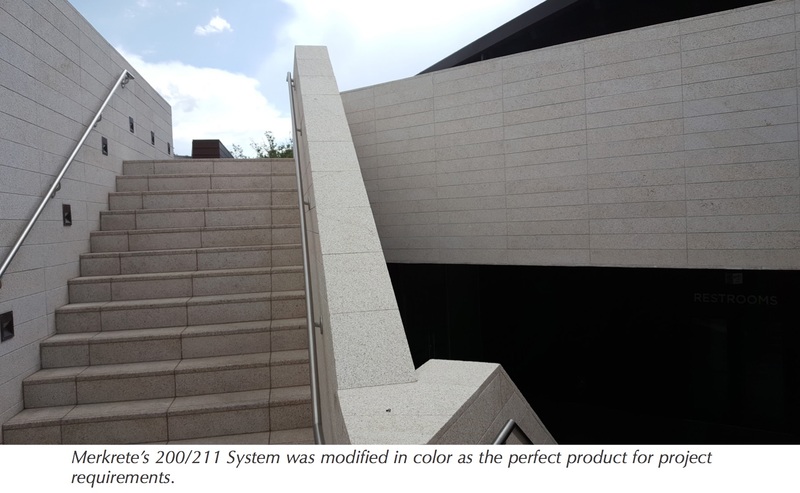 Therefore, installed strength became the key to achieving performance levels comparable to those of traditional tiles whose exceedingly high breaking strength could often make up for flaws in mortar coverage or quality. With thin gauged tiles, though, the group chose to scrutinize how lower breaking strength may be offset by installation rigidity and increased mortar coverage. To develop ANSI A108.19 Interior Installation of Gauged Porcelain Tiles and Gauged Porcelain Tile Panels/Slabs by the Thin-Bed Method bonded with Modified Dry-Set Cement Mortar or Improved Modified Dry-Set Cement Mortar, a group of installers, architects, and manufacturers conducted countless experiments to discover application and embedding techniques that make possible maximum mortar coverage, particularly for tile panels/slabs. 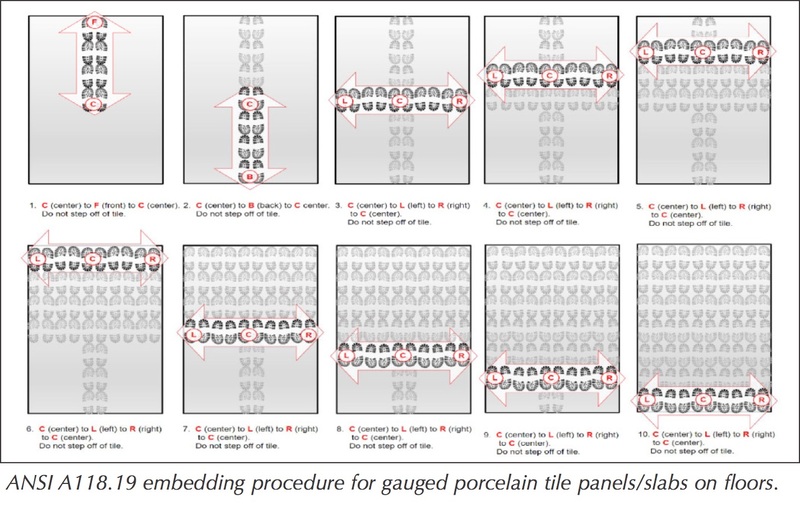 Through these experiments, standard setting procedures for gauged porcelain tiles and tile panels/slabs were developed that facilitate optimal workmanship and system integrity. Mortar application: It was determined that applying a layer of mortar to both the back of the panel/slab and the substrate would result in the necessary bond coat thickness of 3/16” (4.8mm) and would allow for full encapsulation of lippage control systems. Anything less than this method would result in an embedded mortar layer thickness that was insufficient to achieve the agreed-upon substrate tolerance of a maximum deviation of 1/8” in 10 horizontal feet (3mm in 3m) from the required plane when measured from the high points in the surface for floors. Mortar properties: Mortar properties such as extended open time, flow to achieve coverage, and curing parameters appropriate to the application, as well as a requirement for suitable mortar identification through consultation with the tile and setting material manufacturer are specified in the standard. Trowels: Only Euro-trowel, Flow-Ridge trowel, and Superior notch trowel can facilitate ridge collapse without the need to press and slide the tile. The group agreed to standardize the use of such trowels. 2) take small shuffling steps left and right from center to push air toward the edges. 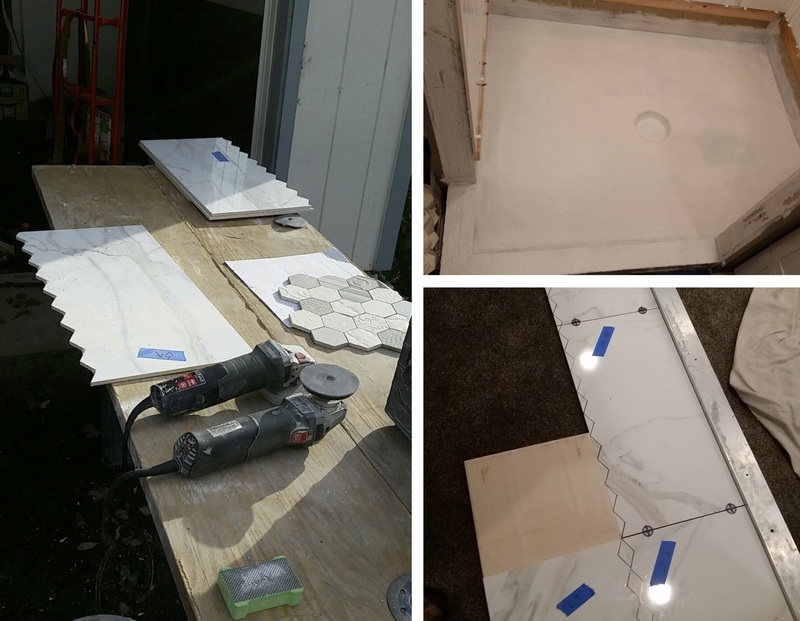 This standardized procedure is listed in ANSI A108.19 for embedding tile panels/slabs on floors. For walls, a vibration tool and weighted beat-in paddle are specified in order to achieve optimal coverage. For walls and floors, a vibrational tool used at the perimeter, achieved full coverage on the edge, critical for overall durability in flooring applications, and also facilitated full encapsulation of lippage control systems. For these reasons, edge coverage achieved through vibration is a provision of ANSI A108.19. The standard minimum required coverage is 80% for walls and 85% for floors. Additionally, maximum void size was established as 2 square inches (1290 square mm). Substrates: Standardized suitable substrates for the installation of gauged porcelain tiles and tile panels/slabs are mostly consistent with those of traditional tile, with the exception of direct bonding to plywood floors, which requires the use of a mortar bed or specified backer board and referencing floor rigidity requirements established by building codes and other widespread industry specifications. Applicable to all substrates, ANSI A108.19 details required flatness as maximum deviation of 1/8” over 10’ (3mm in 3m) from the required plane when measured from the high points in the surface. Material handling: Qualified labor and other provisions also taken into account through discussion and A108.19 standardization were adequate jobsite storage, space to maneuver panels, prevention of damage while handling and time for mortar curing. Another critical aspect of ANSI A108.19 involves usage of properly qualified installers who are equipped with proper tools and have acquired sufficient product knowledge and installation experience. 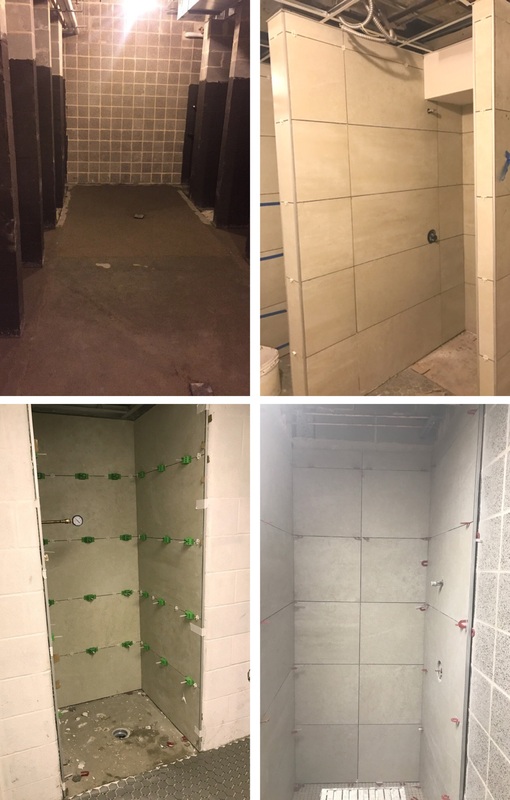 There are several other key provisions contained within ANSI A108.19, including grouting, workmanship, movement accommodation, and maintenance, completing a very comprehensive specification for how to install products defined by ANSI A137.3. See link here for the full paper, including footnotes.